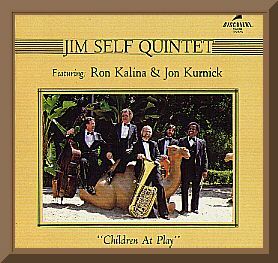 A new jazzy Christmas CD featuring top L.A. tuba players and arrangers, and the unique sound of 12 tubas playing holiday songs. 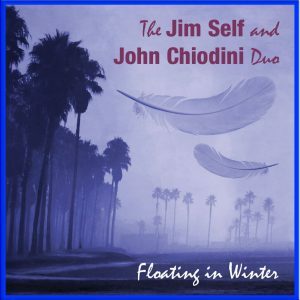 This is Christmas music you can really “feel”. 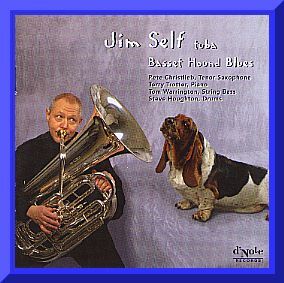 Tuba Artist Jim Self has put together a band of all the best tuba players in Los Angeles to play wonderful arrangements of Christmas songs. Among the unique charts are a boogaloo version of Let it Snow (In the Jungle), a beautiful arrangement of John Williams’ theme from Home Alone, Somewhere in My Memory featuring Jim Self and a jaunty Jingle Bells and upbeat Frosty the Snowman. There are Two Hanukah Songs too. 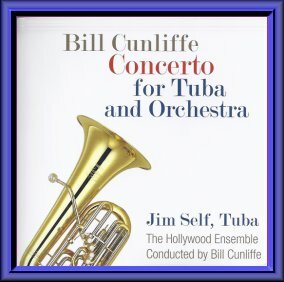 29 of the top Hollywood studio musicians and orchestra players are featured. 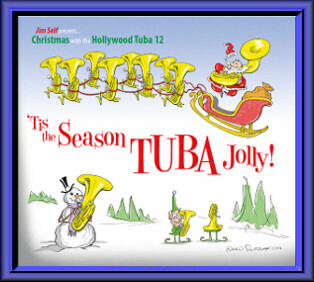 `Tis the Season TUBA Jolly features 12 part arrangements of twenty of the greatest holiday songs played on Santa’s favorite instrument – the TUBA. Listening to this recording will put you in the holiday spirit and will be good for your nerves, winter colds and hangovers – kind of like a massage. Sit by the fire with a toddy and turn up the stereo. Surround yourself in the warmth of 12 tubas. You will sleep like a baby while visions of sugarplums dance in your head.